KG: Fine and gross motor skill development at age appropriate level. Express and accept communication skills. Grade 2-6: MAPS (Measure of Academic Progress) testing including literacy and numeracy. English Language proficiency and/or learning skills required. Grade 7-12: MAPS (Measure of Academic Progress) testing including literacy and numeracy and additional mathematics and written assessments. A review of student transcripts is required. 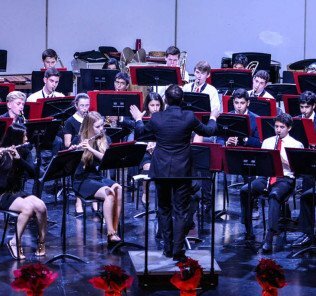 •	The innovative linking and interweaving of the IB and US curricular provides a richly academic, but also broader whole-child focus that for many parents will be a significant draw. •	Data rich school with investment in comprehensive flightpath setting and child monitoring - but this information should be more widely shared. •	No advertised Advanced Placement provision - something we feel critical for those students not sitting for the IB DP. •	We expect the school to achieve a top A1 rating in 2018-19 as the school beds in its rapidly expanded management team and growth in student numbers. 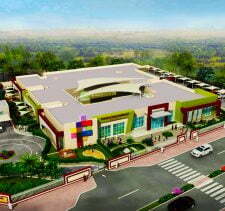 It has the capacity and investment from GEMS Education to now do so. 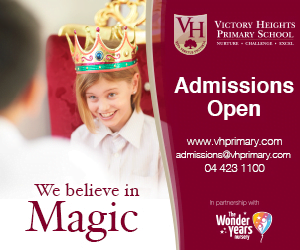 •	This is a school that genuinely places the welfare of children at the heart of everything it does. 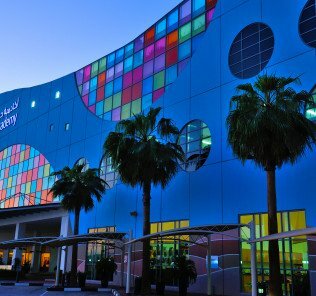 •	GEMS American Academy Abu Dhabi is a hugely impressive school and, we feel, it will repay the investment prospective parents make in shortlisting the school for the potential education of their child(ren). “Inclusive schooling is making a commitment to provide each student in the community with the right to belong and assumes that living and learning together benefits everyone. Inclusion is a value, a belief system, an intentional community commitment and attitude that is taught and modelled by example. As educators, our aim is to insure that each student is academically and personally engaged, challenged and successful. To fulfil this aim, we must design learning environments that address the unique needs of each student, across the spectrum. Students require a highly personalized approach to learning that is matched to their unique learning needs and tailored to learning preferences. A fully personalized learning environment moves beyond differentiation and individualization. Dr Kathryn Miner. Principal. GEMS American Academy. – Abu Dhabi. 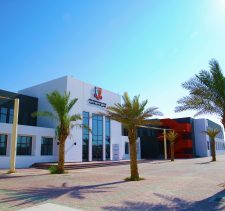 GEMS American Academy Abu Dhabi (GAA-AD), after a blip in 2014-15 when it suffered a steep 3-place fall in its rankings in the Abu Dhabi Education Authority (ADEC) inspection from a near perfect High performing” A2 grading in 2013 to a B5 “Satisfactory” score, has returned to being a top tier A2 High Performing School. Ranked overall “Very Good” by ADEC in 2016-17, the school scores “Outstanding” for its care of children, the teaching and progress children make across all phases in English – and for its highly developed broader whole child focus across the Arts, Sport and Music. 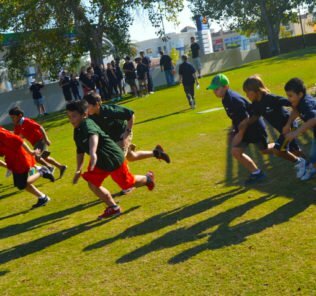 The broader curriculum is seen as fundamental to the school’s ability to nurture the individual gifts of every child, with the aim that every child finds their own unique gifts and limitless capacity to excel. 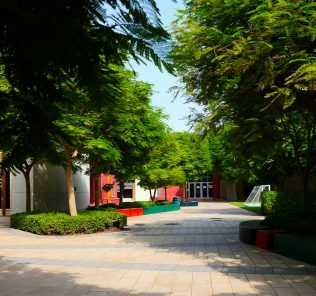 The school’s innovation rich and centric curriculum is a stand-out feature of the school – and one matched by its outstanding facilities – something of a landmark in the Emirates. Our view is that the out of character fall in the school’s performance was caused in no small part by the school’s rapid growth in numbers, something which has now stabilised under significant changes to school management and new leadership. The result has been positive impacts across all areas of provision. 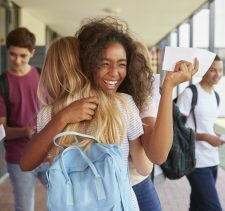 The school rates as one of its USPs a genuine “culture of kindness” and this is reflected in exceptionally positive independent feedback from both students and teachers to both schoolscompared, and our sister site, whichschooladvisor. Prospective parents should note the school is in the early years of bedding in International Baccalaureate Diploma provision, something which we have noted takes time in even the very highest performing schools. Most years have five classes, with an average class size of less than 18. There are a maximum of 10 students per teacher from Grade 1 – one of the most generous teacher: student ratios for a US school in the UAE. This is a school that heavily invests in teaching faculty to ensure that each child is given significant attention and so that the school, can meet its published aim to find and nurture the gifts of each child. Students come from 92 different nationalities, with US, UAE, Korean and Canadian citizens providing the most significant presence. The male to female ratio at the school is 55:45. In total, 42% of students do not have English as a first language. 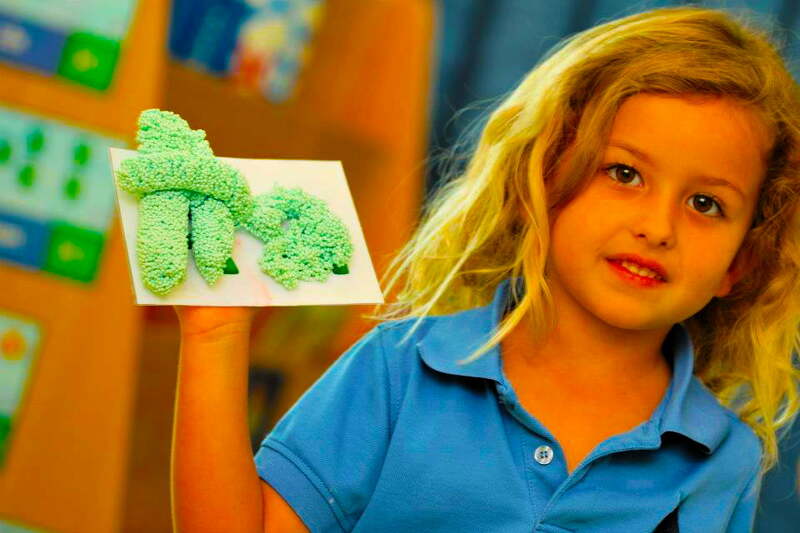 GEMS American Academy Abu Dhabi offers Kindergarten, Elementary, Middle and High School. Grade 11 was added in September 2013 and Grade 12 opened in September 2014. 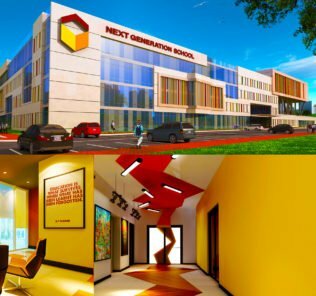 The school follows the International Baccalaureate Primary Years Program for KG and Elementary phases and offers both an enriched American Curriculum and IB Diploma programmes for Grades 6 – 12. In the 2013/14 academic year the school has been inspected and accredited by the International Baccalaureate Organization, The Council of International Schools and New England Association of Schools and Colleges. GEMS American Academy Abu Dhabi awarded its first IB Diplomas in 2016 and we have contacted the school to clarify results in its inaugural year. A genuinely rich curriculum for all students, founded on a combination of International Baccalaureate subject depth and reach underpinned with the child-focus of US teaching methodology. 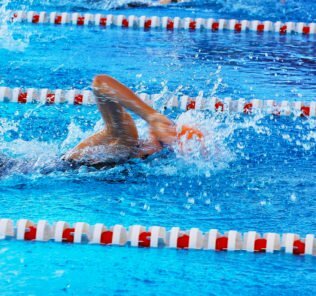 A strongly academic core curriculum is supported by an extended curriculum across Sport, music and the broader Arts and Sciences. Outstanding links with parents with a genuine commitment to engagement with families and community. Exceptional provision for children for whom English is an Additional Language (EAL) with English provision more broadly an outstanding strength of the school across all phases. The school heavily invests in support staff and investment in teachers, both in professional development and in their numbers, ensures that curriculum modifications are made so that each child can find his or her own pace of learning. The aim is that both no child is left behind and that the gifts of all children are defined and nurtured. Outstanding school facilities, including a Planetarium, evidence the uniqueness of, and genuine commitment to, the school’s ambition to the individual child – and to build learning capacity through curriculum choice, breadth and interdisciplinary linking. Outstanding culture of care across school phases so that each child approaches school life recognising the value of their peers and faculty and leadership nurture a culture of kindness across the school focused on every child being given the confidence, investment and tools to develop their individual gifts and potential. This is a warm and happy school, a feature that for many prospective parents will be a defining strength of the school for their child(ren). 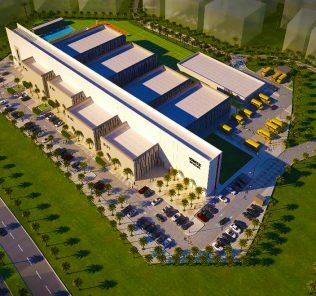 Very significant investment by GEMS Education. 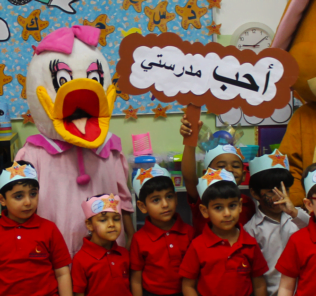 The clear aim is that the school sets the benchmark for Tier 1 provision across the Emirates’ American school sector. Outstanding communication for parents. A link to the schools newsletters can be found here. 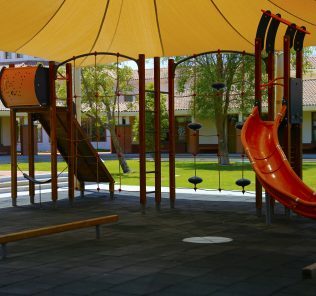 Facilities include a fully digital campus; dedicated Science Labs by subject (6); Specialist Technology Labs; Visual Arts Centre; Performing Arts Facility; Planetarium; Landmark Auditorium; swimming pools (2); Tennis Courts, Basketball Courts; Sports (including Soccer) Pitches; Black Box Theatre; Dance studio; Recording Studio; Indoor courts; shaded play areas; gym and fitness room; and cafeteria. ECA provision includes (2017) Board Games; Double Dutch skipping; Hawaiian Dancing; Chess Club, Big Band, top Motion; Fabric Crafts; Golf, Mathematics Games Club; Origami; GIN (Global Information Network); Street Art Club; Reader’s Theatre; Dance Club; Roots and Shoots Community Service; All Around the World; Construction Club; Arts and Crafts; Ultimate Frisbee; Choir; LEGO Club; Drama Club; Film making; French and Spanish Spelling Bees; Weight Training; UKE; Stunning Science; Stories of the Prophet Mohammed; Painting; Cooking Club; Crafting, paper cutting and colouring; Quran and Hadeeth; World Scholars Cup; Arabic Language; Mindfulness; Board Games; Drawing; Chess; Badminton; Cooking; Kindness Club; Aquafit; iPad Animation; lino-cut Print Making; Soccer; Collage Club; and, Arabic Cooking. School Principal Dr. Kathryn Miner joined the school in July 2014 from her role as Director at the American School of Paris. She completed a Masters in Special Educational Needs and doctorate in Policy Management and Organisation at Oregon where she developed her career as a Middle School School Principal. Independent feedback has been uniformly positive and she is described as being “inspirational”, “caring” and “visionary” within statements made to our sister site whichschooladvisor. Dr Miner’s impact on the school has been profound, particularly in bridging, and strengthening links across the school, parents and community based on inclusiveness, recognition and her vision of inclusive schooling in which all children must be empowered to discover and meet their potential. GEMS American has evolved into a school under her leadership in which community has become embedded in school life and culture rather than an aspiration. ADEC inspectors provide a very nuanced and limited critique of the school focused on three core areas. 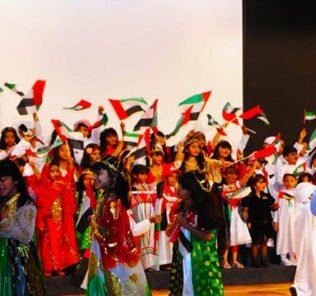 First, the school needs to further improve its provision for Arabic subjects, an area that provides a challenge for all international schools in the Emirates. Second, the quality of teaching must be improved further so that all teachers educate at the same exacting outstanding standards as the best at GEMS American. Finally, ADEC guides the school in extending its provision for the most Gifted and Talented children (G&T). The school has a significant minority of exceptionally gifted children and more should be done to stretch these children and enrich their programmes of study. Significantly ADEC emphases that the school has the clear capacity in place to ensure that it meets all these need over time – and that the professional development of teachers is now significant and translating into significant improvements across the school. One critique we have of the school, and one which we address to all schools, is the lack of information provided by the school on added value. This is a very data rich school with significant investment in mapping flightpaths for children. It clearly invests in understanding children’s starting points and talents on entering the school – and in mapping out individual flightpaths for children based on that data. We believe that that the school should make this added value data available to prospective parents so that they can understand the number of children who fall short of, meet and exceed their potential as they progress through the school. This is an ambitious and successful school for children, so publishing this data should highlight a core strength of the school – as well as providing all parents with a lever to benchmark the school’s performance over time and hold it to account. 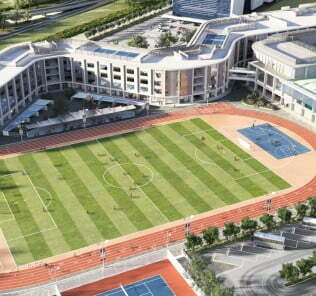 GEMS American Academy, Abu Dhabi, is a flagship school for the Emirates. In many ways it stands alone in its parallel and linked stream US and IB curriculum and the strength that come from its melding of the two approaches, at its best, provides an extraordinarily rich education for its children. 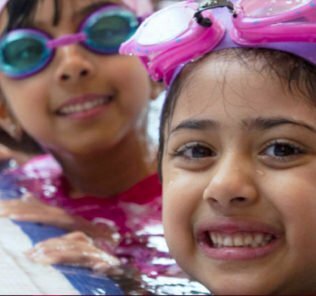 Whilst it is a selective school, it is also inclusive, particularly in the area of EAL. We would like to see an increased investment in SEND places for children – this is a school which, by virtue of its own values, would benefit from extending further the inclusiveness of its student body. We would also like to see much greater commitment to scholarships and welcome to children and their families for whom school fees are simply out of reach. The school currently has no scholarship provision at all, including no access to GEMS existing scholarship programmes available at other schools. The school is now fully transparent and examination performance for the International Baccalaureate can be found below. Parents should note that 2016 represented th inaugural year for the IB DP and we would expect a larger percentage of students to access the programme as the school beds-in provision. The school also emphasises that entrance to the IB DP is currently inclusive which, on the basis of these (outstanding) results, is highly suggestive that the school should continue to make access to the programme as open as possible rather than making the programme selective. This is a school that does share information with existing parents too very well. The school has confirmed to us that it has no plans to offer Advanced Placement, this on the basis that the IB alternative better matches the school provision. Our view is that for those children who do access the IB DP, Advanced Placement is clearly not necessary. However, for those students who graduate with the High School Diploma in isolation, we continue to believe that Advanced Placement is necessary. Our US Curriculum Guide can be found here. Finally, stand-out for us is the scale of investment in teaching staff and the ambition of the school to find and nurture the gifts of each and every child individually. Whilst the facilities of the school sparkle, it is this investment in each child that sets the school apart. The warmth and care that drives the atmosphere of the school is fundamental to meeting this aim. 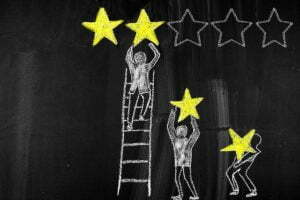 Independent feedback we have received this year is extremely positive. 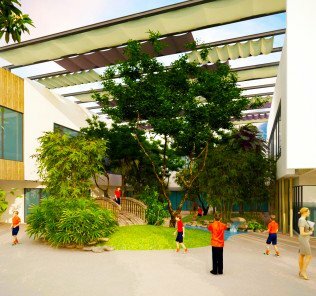 We think that the the future is bright for this very unique and special school. Highly recommended.